This sophisticated mechanical/automatic edition men's watch boasts a round stainless steel case and a white smooth dial giving a modern look. 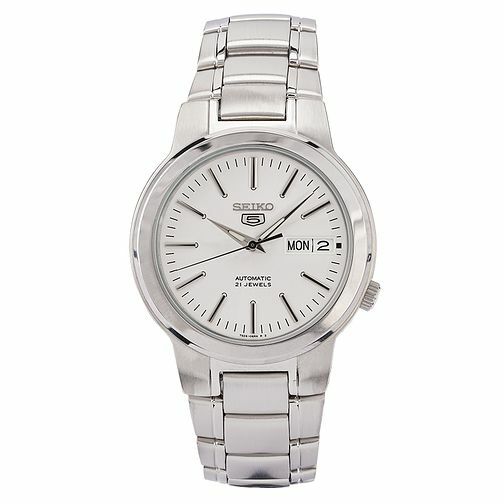 With silver-tone hands and luminous hour markers, this watch can keep you going through both the day and night. The durable mineral hardlex watch glass provides a strong protection for the dial and gives a crystal clear view. In addition to featuring a day and date window and with a water resistance of 100m, the watch is finished with a stainless steel bracelet that provides a comfortable and stylish finish.